Joe Angel, 74, of Adairville, KY, died Wednesday October 11, 2017 at his home. Funeral services will be conducted Saturday October 14th at 11:00 a.m. at the Dean Funeral Chapel in Adairville, KY with Bro. Allen Woodard officiating. Interment will follow in the Greenwood Cemetery with Levi Mathews, Landen Mathews, Greg Mathews, Bryan Dorris, Bryan Shoulders, and Sherman Shoulders serving as pallbearers. Honorary pallbearer will be Lewis Hudson. The family will receive friends on Friday from 4:00 p.m. until 8:00 p.m. and on Saturday from 9:00 a.m. until service time at the funeral home. Mr. Angel was born June 9, 1943 in Logan County, KY to the late Hal Winston and Alice Josephine Tyler Angel. He was a retired truck driver from S&F Pickup and Delivery. Mr. Angel also farmed and sold cars. He was a member of Adairville Baptist Church, and was a veteran of the U.S. Army where he served during Vietnam. 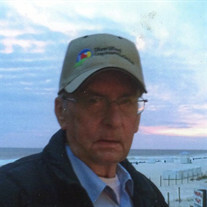 Mr. Angel enjoyed hunting, fishing, spending time with friends, and had a great love for horses. In addition to his parents, he was preceded in death by his wife: Nancy Angel, and his brother: Jim Angel. Mr. Angel is survived by his son and daughter-in-law: Winston "Winse" and Angie Angel of Adairville, KY, sisters and brothers-in-law: Joyce and Gary Mathews of Clarksville, Alberta and Jimmy Waters of Brentwood, step-grandchildren: Bryan Dorris, Amanda (Daniel) Barr, step great-grandchildren: Hunter Dorris, Dylan Lee and Chloe Walker, four nieces, and two nephews.